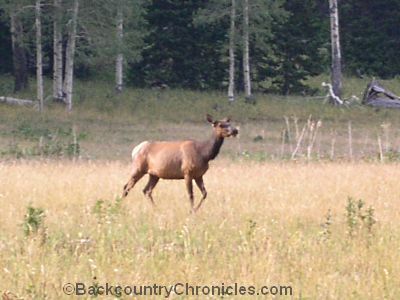 Starting in 2014, The Utah Division of Wildlife began issuing antlerless elk-control permits. These permits provide additional opportunities for hunters with a buck deer, bull elk or any once-in-a-lifetime (OIL) permit to harvest cow elk. These antlerless elk-control permits are also available for purchase with a valid General Season Elk Permit which are available over the counter (OTC) for both residents and non-residents. In 2015, the elk population is still at or above objective in each of the antlerless elk-control units, so the Utah Division of Wildlife is encouraging hunters to harvest cow elk from these units. So, anyone interested in hunting during the general season with OTC tags can improve their chances by getting an antlerless elk-control permit after they purchase the general permit. Note: Antlerless elk-control permits will also be available in 2016, but probably not in the same units. I will update this after the final decisions are published. Since all Limited Entry and once-in-a-lifetime tags have already been issued for the 2015 hunting season, I am directing this post to hunters that plan to hunt with OTC tags. In Utah, the General Spike and Any Bull Elk Tags go on sale starting 7/14/2015. There are about 15,000 tags available for both the General Spike Elk and Any Bull Elk Tags, so first come first serve (Purchase Utah Elk Tags Here). After you purchase a general elk tag, the antlerless elk-control permits go on sale July 21, 2015 (8:00 am). I usually hunt the spike elk units because they are closer to home for me and I prefer to hunt the general season with both spike and antlerless elk tags. I primarily hunting for the meat and having both tags increases the chances of success especially in the spike elk units. Congrats on finally getting that tag… I’m still waiting on mine, but I hope I don’t have to wait as long as you did. Because the field of view of the 1X scope is so wide and also probably because of the low rings. My 1X scope does the same thing. The 1X scope seems to make things look farther away. I thought about taking the front site off of the muzzleloader, but decided to leave it in case something happened to the scope. My front site is in the field of view, but does not interfere with the cross hairs. You mention that you don’t notice this with any of your other rifles… but are they magnified? Remember that a scope looks in a strait line, but the rifle barrel will be pointed slightly upwards towards the line of sight in order to “lob” the bullet towards the impact point. If you can see the target behind the cross hairs, I would ignore it. If not, you can get larger rings or spacers. Good luck and send me a picture when you get him. Thanks for the info. Will be shooting soon. Brother and I did a cow hunt in the Mt. Dutton unit last Dec. We camped for a week in two different areas, came real close to burning some powder, but it didn’t work out. We will be in a drop camp for this elk hunt, can’t wait! Hendra: What info are you looking for?